Book early with Fanatics to beat the inevitable massive price hikes! Ticket prices are sure to skyrocket thanks to Tiger's win & the Golden Bear's record now in sight. Join us at Augusta National for the greatest golf tournament of them all – the US Masters. As our previous Masters customers will attest, we pride ourselves on providing unbeatable Masters value combined with highly professional service courtesy of our friendly & experienced US Masters tour staff. Get set for the trip of a lifetime! If your plans fall outside of our ready-made packages above, please contact us for a quote. Our US Masters tours attract a full range of age groups from retirees to young professionals, families and even the odd ex-sports star. Our customers hail from Australia, NZ, the UK, USA & more and all share the same passion for golf, travelling and experiencing the world's best golf tournament. We enjoy a strong relationship with the USPGA Tour together with many of the game's greatest players both past & present. Our extensive background in the sports travel industry ensures we have access to the tournament’s most reputable badge suppliers at highly competitive rates, meaning we are able to pass on those savings to you. You will enjoy the long standing traditions & high standards of etiquette that are part & parcel of attending Augusta National - it truly is an experience like no other. 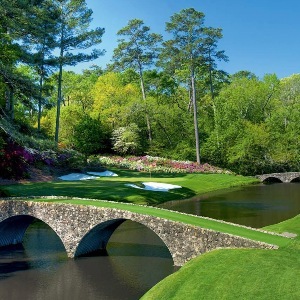 We offer a selection of hotels in Augusta within walking distance to Augusta National GC. We also offer private house rentals for those looking to bring a group of 4+ guests and enjoy the comforts of a local home (please call us for a quote).